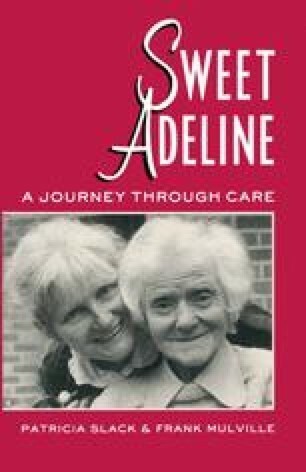 I drove Wendy’s Mini up to the north of England and together we collected Adeline from the hospital and took her home. She was frail, her skin like rice paper, her eyes sunk in her head, and her clothes hanging round her. Wendy stayed and looked after her until she was on her feet and then she came back to London. Life slotted back into the groove we were beginning to make for ourselves. It was not an unpleasant groove.